You might expect a Green Party, of all parties, to extend a hand of solidarity to the oppressed. If Green politics means anything it must mean opposition to racism ethno-nationalism and systematic discrimination and genocide. 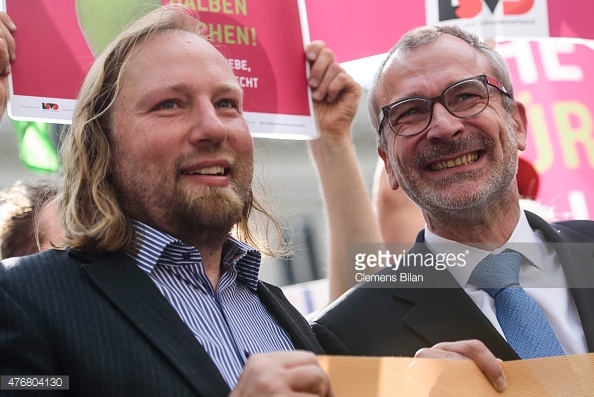 But when it comes to Germany’s Green Party, it would appear that it’s a case of Green Imperialists ‘R US. 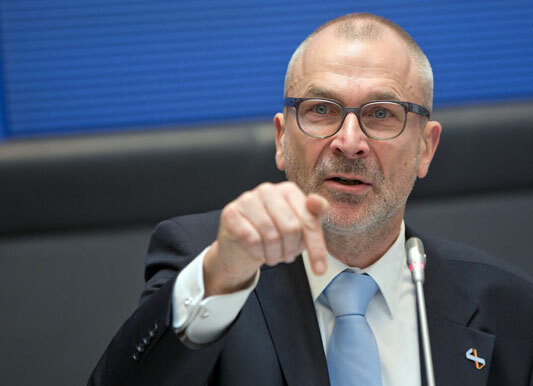 The rot set in in 2002 when the German government, which was a Green-SPD coalition, with Joshka Fischer of Die Grunen as Foreign Minister, sent German troops into a war, the Afghanistan War, for the first time since World War 2. 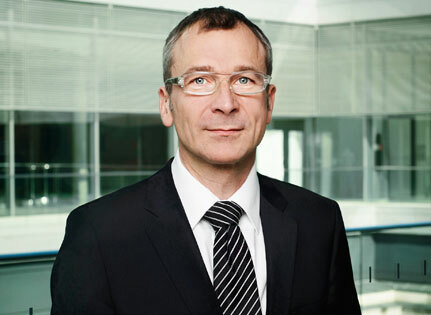 But Volker Beck of Die Grunen has really outdone any of this. Knowing full well that the Palestinians are living in an Apartheid state and Volker Beck is no fool, he nonetheless accuses supporters of BDS of ‘anti-Semitism’. 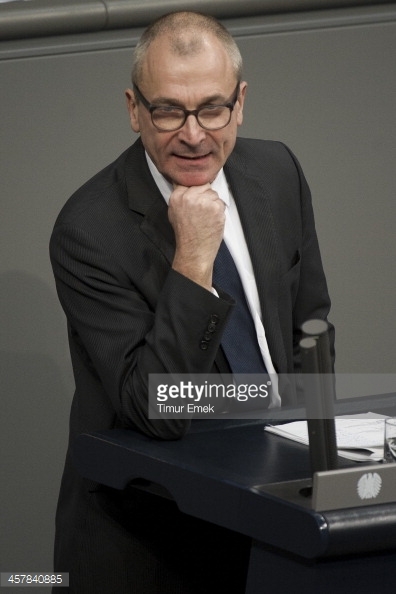 Even worse, this rat of a green, tries to get the German state to employ the full panoply of its powers. He is asking the State to begin employing repressive and coercive measures against those who are trying to build solidarity with an oppressed people. 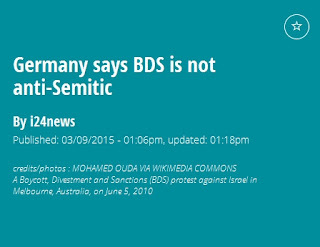 If what is happening to the Palestinians were to happen to the Jews in Germany then Beck would be the first to cry anti-Semitism. Or would he? 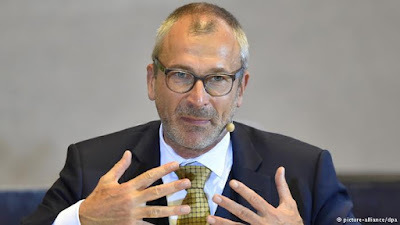 Given that anti-Semitism and Zionism are the opposite sides of the same coin one suspects that Volker Beck would turn a blind eye to native racism. The question is why this bigot has not been criticised by either fellow Greens or other Green parties internationally. If the whole of the German Green Party is now compromised and beyond salvation then we would expect Green parties in other parts of Europe, including Britain, to speak up. Volker Beck was responsible for the removal of Jewish and Israeli anti-Zionists Max Blumenthall and David Sheen from the Bundestag earlier this year on the false grounds of anti-Semitism. 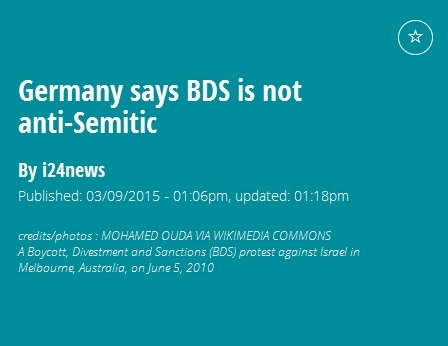 The irony is that the German conservatives, the CDU rejected Volker Beck’s suggestion that BDS was anti-Semitic (see below). So we have the position that Beck is to the right of the Christian Democrats on the question of Palestine! 29. Does the federal government classify the so-called BDS campaign against Israel (BDS - Boycott, Divestments and Sanctions) as anti-Semitic? a) How many followers and supporters does this campaign have in Germany according to the knowledge of the Federal Government ? 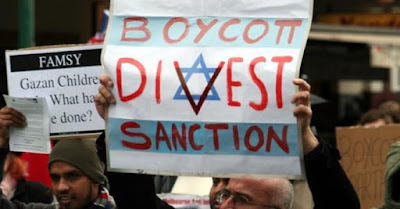 b) Is the BDS campaign or its supporters according to the the knowledge of the Federal Government under observation of the Federal Office for the Protection of the Constitution? The questions 29, 29a and 29b are answered together. campaign, which is allowed under § 3 BVerfSchG observation by the BfV. The Federal Government has not got any evidence concerning the findings in terms of the question. 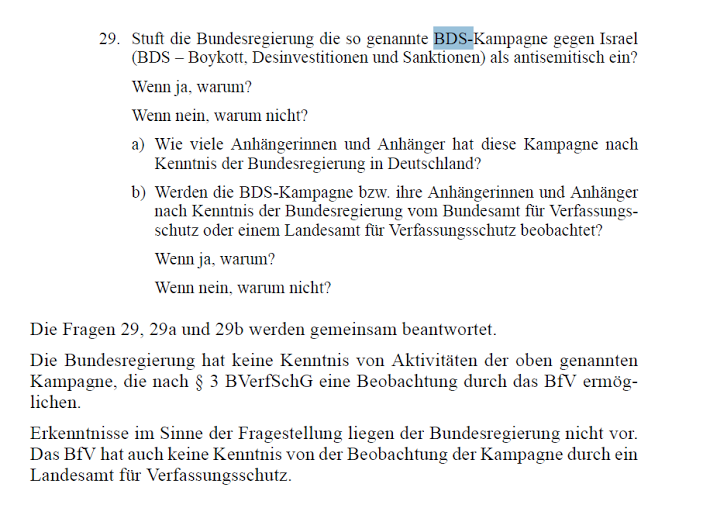 The BfV has no knowledge of the observation of the campaign by a State Office for the Protection of the Constitution.